Owen Smith MP on Brexit, 9th June 2018, Bath. Photo http://www.mickyatesphotography.com. Owen Smith captivated the Bath audience. Photo http://www.mickyatesphotography.com. 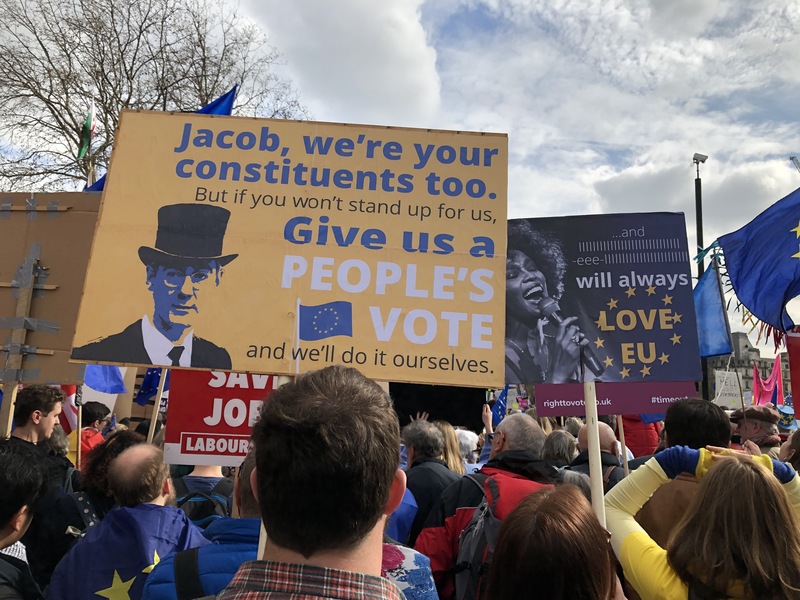 Leaving the EU, he claimed, would result in a loss of workers’ rights, less control and less ability to prevent multi-national corporations from moving their assets across the globe. It would also leave the UK more isolated. “It breaks my heart to think we are reducing young people’s horizons, limiting their opportunities.” He also despaired that the country, which had become more tolerant and liberal during the time of the last Labour government, now seemed to be sliding backwards with a marked increase in racist crimes. As former Shadow Secretary for Northern Ireland, his main criticism was levelled at politicians from all parties who failed to understand the impact of Brexit on Northern Ireland. “We’re playing with fire,” he said, explaining how fragile the Good Friday Agreement was. Reinstituting a hard border would be disastrous, the only solution being to remain in the Single Market and Customs Union. 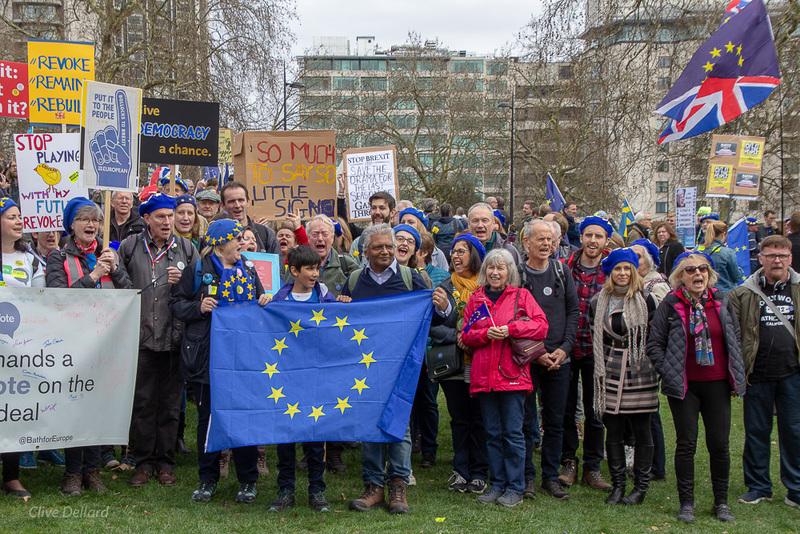 From left: Owen Smith MP; Claire Thomas, Chair, Bath for Europe; Dr David Moon, Senior Lecturer in Politics, University of Bath. Photo http://www.mickyatesphotography.com. 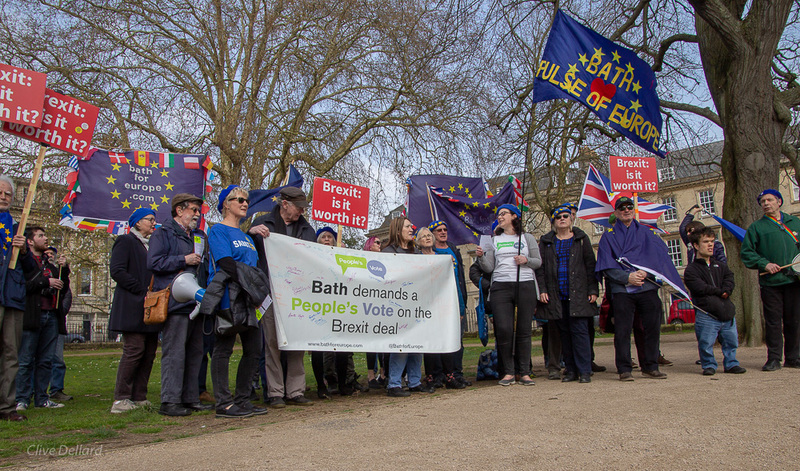 This was another successful event organised by Bath for Europe and we thank Dr David Moon, Senior Lecturer in Politics at the University of Bath, for chairing it and Mick Yates for his photography. We will be posting a film of Owen Smith’s talk soon.